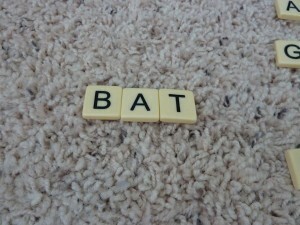 Scrabble or Bananagram letters are great for playing word games, the most obvious being a Scrabble type game where words are built off of other words. 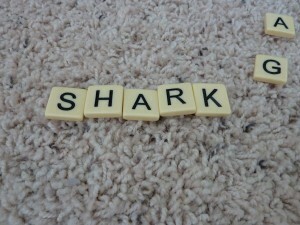 Another fun way to use them is to play, “How Many Words Can We Make?” This presents itself as a purely a game but is also helpful for building spelling pattern awareness and how changing one or a couple of letters can make so many different words. 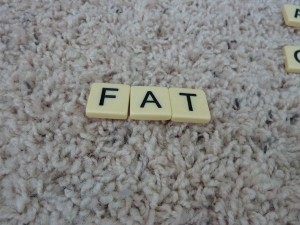 My Obstacle Course Station Activity: How Many Words Can We Make? 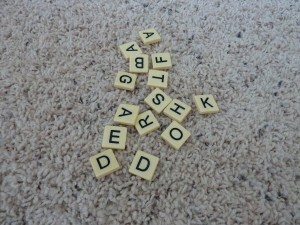 I randomly choose a certain number of letters (15 seems to work well) and then look and see how many different words we can make using those letters. 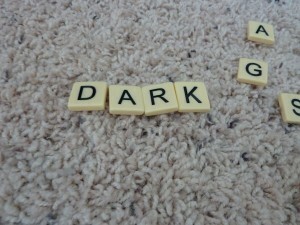 Switch out some letters to make "dark." 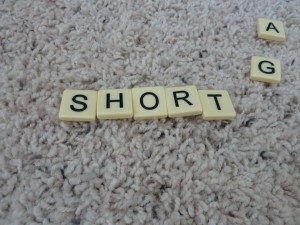 Switch out some more letters to make "short." 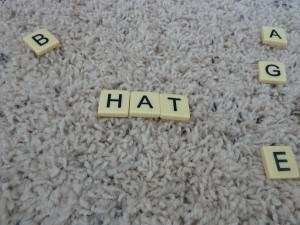 Such a simple, yet fun way to build word building skills requiring no set up other than to choose some letters from a common game of Scrabble (or Bananagram). This is something that is easily portable so it can be taken along and used as a beach house/lake house/grandma’s house activity.